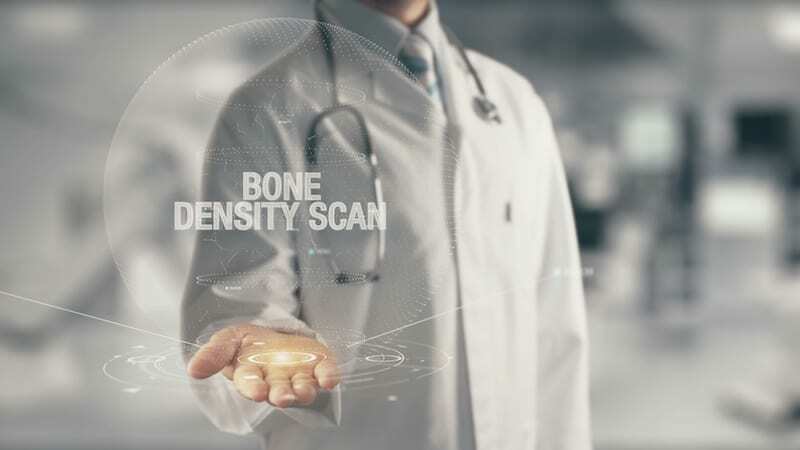 According to the National Osteoporosis Foundation, approximately 10 million Americans have osteoporosis and another 44 million have low bone density, placing them at increased risk. Receding gums: Like many other health problems, your dentist may be the first to notice early signs of osteoporosis so it’s important not to skip your regular teeth cleanings. If he or she notices receding gums, they can screen for bone loss in the jaw. Weakened grip strength: Women are more likely to develop osteoporosis than men due to having smaller, thinner bones and the decrease of estrogen at the onset of menopause. Studies of postmenopausal women and their overall bone mineral density revealed that weaker handgrip strength can be an indicator of lower bone density. Those with stronger grip strength were also less likely to fall and get injured. Weak, brittle fingernails: Nail strength can be a good indicator of bone health. However, weak and brittle fingernails don’t always mean there is a problem. It could just be the result of swimming frequently, gardening or participate in other activities that may affect your nails. Loss of height: The most notable symptom of osteoporosis is the loss of height due to compression fractures in the spine. Unfortunately, by the time you notice this symptom your bones have already significantly deteriorated and is considered later-stage osteoporosis. Back or neck pain: There are many causes of back or neck pain, but regardless of the reason it can significantly impede your everyday activities. Compression fractures of the spine caused by osteoporosis may also cause pinched nerves that radiate out from the spinal cord. You may experience mild tenderness or debilitating pain. Stooped posture: Compression fractures may also cause slight curving of the upper back, or stooped posture. The medical term for this is kyphosis, but you might commonly hear it referred to as a widow’s hump. Osteoporosis can be prevented by building strong bones during childhood and adolescence. If you are experiencing any of the above symptoms or fear you may be at risk, the team of medical professionals at Paris Orthopedics and Sports Medicine can help. Our experts are committed to the diagnosis, treatment, and education for the primary and secondary prevention of osteoporosis. Schedule an appointment with the Paris Orthopedic Bone Health Clinic today.